Here’s a soukous bass lesson, and below it, the corresponding guitar lesson as well! I play the full song in that one. African soukous bass guitar? What’s that – you may ask. 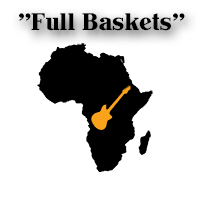 Well, soukous guitar music might be familiar to you already though. Why? Because we had a lesson on it previously! Haven’t you checked it out yet? You should. 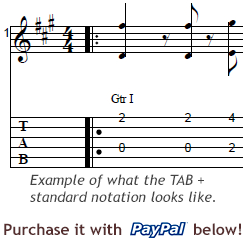 It’s got TAB, too, just like this tune. 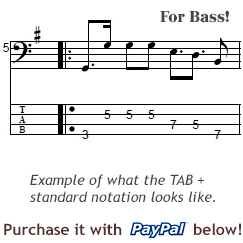 The good thing about the current one is, it’s got a separate, downloadable bass TAB as well! Not only that, but you can also download both the guitar backing track and the bass backing track. That way, nothing will ever be able to stop you from playing this song anymore. Poor neighbors. Some people call this style of playing the closed palm hand position. Don’t worry, it’s not some kind of illness. It’s really just a name for something that you do with your hand and fingers. What are you doing there in the gutter again?! Anyway. It’s kind of close to a classical guitar hand position, except I’ve played it with only three fingers. No, no, I haven’t lost my other fingers. Now I can’t give you a fixed pattern for it, but it’s an alternation between all three fingers: the thumb, index and middle ones. Stop showing your middle one at me! You’ll be able to get the gist of it. Just check the part of the video with the close-up on the picking hand. The fretting hand outlines the chord changes with the help of playing arpeggios. Some of the shifting between the notes happens with doing legato slides. Playing this way also embellishes the bass line’s melody. In a subtle, musical way, cause that’s how we roll. It is indeed a very cheerful music. Even if my face doesn’t show it. I laugh a helluva lot inside. While at parts there are passages with quite a bit of speed, don’t get intimidated by it. It’s not like a hippo attack. The guitar piece itself is quite simple. It’s a single note melody line, and following the TAB will reveal all of the speedy licks and parts. Just make sure you practice it slowly so you can learn it without mistakes. It has been played with the same three finger style I’ve described above for the bass line. Outside the intro, the fretting hand operates in two distinct positions on the fretboard. It shifts between those to go from the first part to the second one. There are no large, awkward stretches to worry about in the tune. If you get the backing track, you can attempt to improvise over the simple I-IV-V chord changes yourself. ← Previous Previous post: Listening critically – what does it mean? Everytime I come back to this site it reminds me of why I play guitar with fingers only. Fingers hold so much more creative potential energy than using a pic. The individual African song tabs are great! Tabs of individual songs are not easy to find. I’m glad I found your site.